Why is Exercise Important against Lower Back Pain? Lower back pain is a serious problem for many UAE residents. It has caused a lot of absences from work, medical bills, and even inability to perform daily activities of living. If you are among the people who suffer from lower back pain, you might want to consider exercise as a back pain treatment. For many people in the UAE and even around the world, the default treatment for back pain is rest. Why not? Since back pain can be very painful, the common intervention is simply to rest and wait for the pain to go away. It seems that visiting hospitals or physiotherapy clinics in Dubai are not a priority. While it is true that rest can help in relieving back pain, it is important to note that resting for more than one to two days can delay healing and, in some cases,, worsen the problem. Various clinical findings show that gradual and controlled exercise program for the back improve conditions and even prevent future pain manifestations. How exercise helps in reducing and eliminating lower back pain? Now that you understand the benefit of exercise for back pain, it is time that you get the right type of intervention. It is important to note that proper exercise is needed to reduce lower back pain. If not, your situation would only worsen. Among the different professionals who can help you are the physiotherapists. They have the right knowledge, training, and experience to provide effective services. A visit to a physiotherapy Dubai Jumeirah clinic would give you an idea how your back pain can be resolved. On your first visit, the therapist would do a quick assessment through physical examination and sometimes, other diagnostic tests such as X-ray. Once a diagnosis is established, the therapist would then determine the best course of action. This would be discussed with you and depending on your decision, treatment sessions would then commence. The best thing about physiotherapy is that you are not limited to simply just exercises. Therapists would also incorporate other techniques and therapeutic methods to ensure you get a holistic treatment. The main focus of the therapy would be to address not just the symptoms, but also the cause. 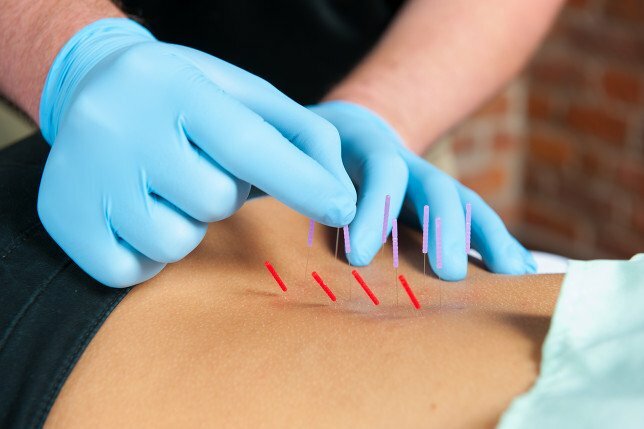 Thus, at the end of the treatment, you would not only feel relieved of your back pain, but also know how to prevent future occurrences of it. Are you ready to take advantage of the benefits of exercise for your back pain with the professional supervision of a physical therapist? If yes, give Scandinavian Physiotherapy Center DMCC a try. Our main goal is to enhance the lives of the people living in Dubai. We provide lower backpain treatment methods, from exercise to manual therapy. Give us a call today!